Medical Science and Technology are the 2 wheels of Development. In the past few years we have witnessed a number of events where science and technology played a huge role in healthcare. From Bypass surgery to prosthetic arms we saw an array of inventions to proof that the healthcare is growing too fast with current Technology. 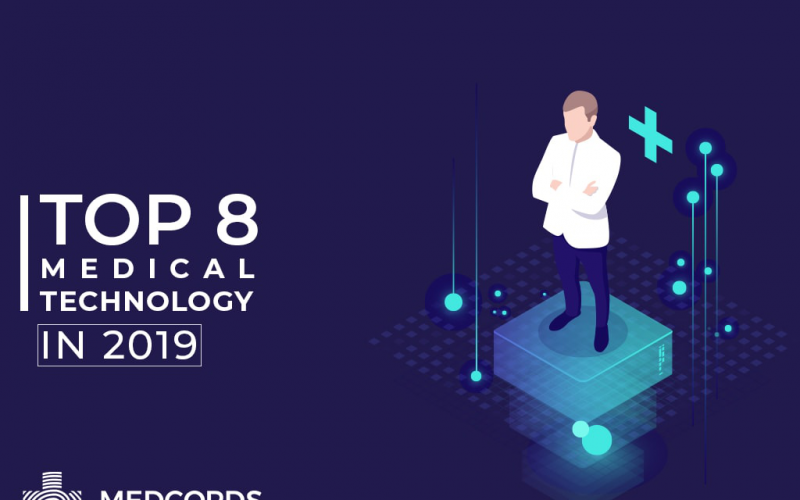 Today, We will discuss about 8 Medical Technologies likely to be accomplished in 2019. If you haven’t heard, 3-D printers have quickly become one of the hottest technologies on the market. To take 3D printing up another notch, bio-printing is also an emerging medical technology. While it was initially ground-breaking to be able to regenerate skin cells for skin draughts for burn victims, this has slowly given way to even more exciting possibilities. Scientists have been able to create blood vessels, synthetic ovaries and even a pancreas. 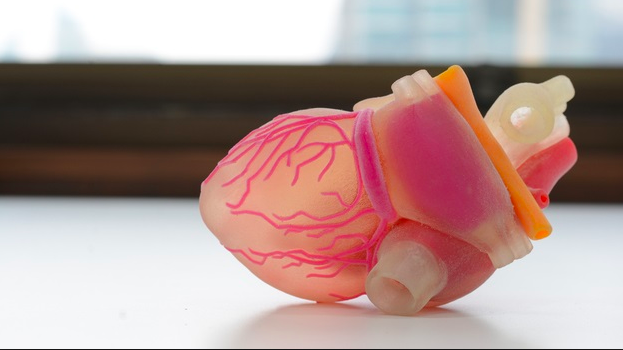 These artificial organs then grow within the patient’s body to replace original faulty one. The ability to supply artificial organs that are not rejected by the body’s immune system could be revolutionary, saving millions of patients that depend on life-saving transplants every year. As medical technology advances it is becoming more and more personalised to individual patients. Precision medicine allows physicians to select medicines and therapies to treat diseases, such as cancer, based on an individual’s genetic make-up. This personalised medicine is far more effective than other types of treatment as it attacks tumours based on the patient’s specific genes and proteins, causing gene mutations and making it more easily destroyed by the cancer meds. Precision medicine can also be used to treat rheumatoid arthritis. It uses a similar mechanism of attacking the disease’s vulnerable genes to weaken it and reduce symptoms and joint damage. The demand for wearable devices has grown since their introduction in the past few years, since the release of bluetooth in 2000. People today use their phone to track everything from their steps, physical fitness and heartbeat, to their sleeping patterns. The advacement of these wearable technologies is in conjunction with rising chronic diseases like diabetes and cardiovascular disease, and aim to combat these by helping patients to monitor and improve their fitness. In late 2018, Apple made headlines with their ground breaking Apple Series 4 Watch that has an integrated ECG to monitor the wearer’s heart rhythms. Within days of its release, customers were raving about the life saving technology, which is able to detect potentially dangerous heart conditions much earlier than usual. The wearable devices market is forecast to reach $67 billion by 2024. Clustered Regularly Interspaced Short Palindromic Repeats (CRISPR) is the most advanced gene-editing technology yet. It works by harnessing the natural mechanisms of the immune systems of bacterium cells of invading viruses, which is then able to ‘cut out’ infected DNA strands. This cutting of DNA is what has the power to potentially transform the way we treat disease. By modifying genes, some of the biggest threats to our health, like cancer and HIV, could potentially be overcome in a matter of years. However, as with all powerful tools there are several controversies surrounding its widespread use, mostly over humanity’s right to ‘play God’ and worries over gene-editing being used to produce hordes of designer babies. CRISPR is still a first-generation tool and its full capabilities are not yet understood. As the years pass, technology in pharmaceuticals and medicine will continue to improve. People are living longer and fewer diseases are deemed incurable. Jobs in the pharmaceutical industry are in higher demand now than ever. Who knows what the next year will bring in medical advancements! Robotic surgery is used in minimally invasive procedures and helps to aid in precision, control and flexibility. During robotic surgery, surgeons can perform very complex procedures that are otherwise either highly difficult or impossible. As the technology improves, it can be combined with augmented reality to allow surgeons to view important additional information about the patient in real time while still operating. While the invention raises concerns that it will eventually replace human surgeons, it is likely to be used only to assist and enhance surgeons’ work in the future. Read more about robotic surgery here. 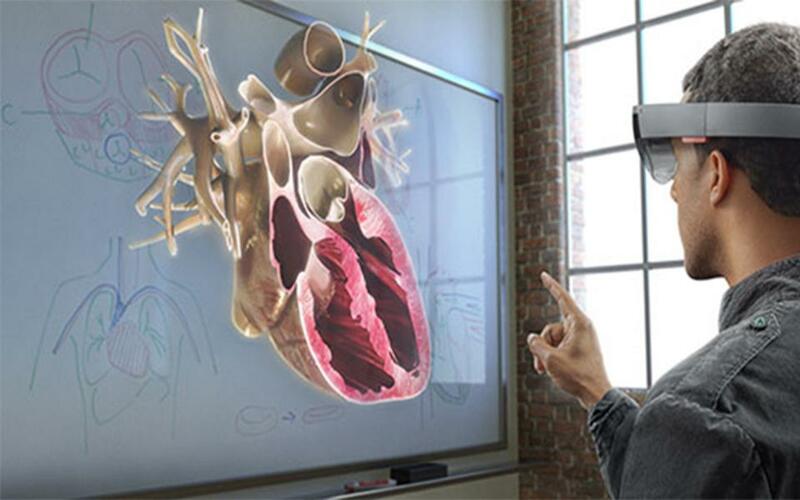 Virtual reality/mixed reality (VR/MR) applications have become popular in medical education. With its immersive approach, VR/MR is good for all kinds of learners: audio, visual, and kinesthetic. VR is a completely computer-generated version of the world and requires the use of VR goggles. MR, or augmented reality, superimposes computer-generated images or sounds onto real-world settings and needs only be displayed on a screen. VR/MR permits medical students to experience and learn from life-and-death scenarios in a low-stakes environment. Other applications of VR/MR include surgical simulation and diagnostic imaging. Thanks to plastics, medical advances have allowed scientists and doctors to team up and create bioresorbable electronics that can be placed in the brain and dissolve when they are no longer needed, according to Plasticstoday.com. This medical device will aid doctors in measuring the temperature and pressure within the brain. Since the sensors are able to dissolve, they reduce the need for additional surgeries. In 2015, there were just over 1 million remote consultations. By 2018, that number rose to 7 million and for good reason. Today’s remote consultation is empowering patients in even the most remote locations of the world to access quality healthcare and receive life-saving diagnoses. Can’t afford to fly across the country to meet the top cancer specialist? It doesn’t matter. That specialist can connect with your local Pharmacy digitally so you never miss a beat in your treatment. In a sense, telemedicine levels the playing field—geographically and financially—allowing anyone to access the best healthcare at any time. Similarly, it saves doctors the time and cost of travelling to see the patients in their own remote locations. It’s a win-win on either side. If you also want to serve a pool of half a million patients remotely, Register with us and become a member of India’s largest Doctor-Patient Network.